We treat a fair amount of fractures, broken bones, and sprains in our office each day at Texas Orthopedics. 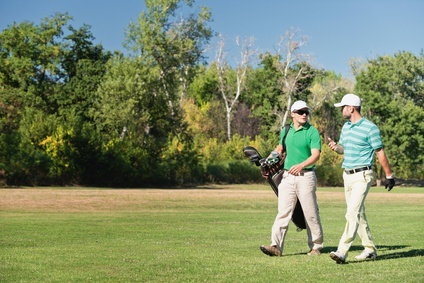 These injuries can be caused by falls, trips, or a mishap on the sports field. But this time of year, a number of these same injuries are often attributed to accidents involving, of all things, a ladder. As people start climbing to string lights around their houses, or trim the tree, potential injury from improper use of a ladder is at an all-time high. More than 630,000 ladder-related injuries were reported in 2015 according to the U.S. Consumer Product Safety Commission. Never use a broken or damaged ladder, or one that has bent or uneven rungs. Wipe off any mud, grease, oil, or other slippery substance that might be on the ladder. Check your shoes too for slippery soles, and never wear flip-flops when climbing a ladder. Make sure the ladder is set up on stable, even ground, or flooring. 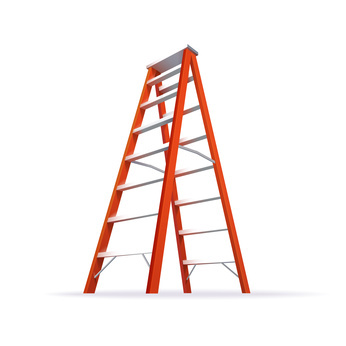 Position ladder away from chandeliers, electrical wires, tree limbs, or any other obstructions. Have someone near you, within shouting distance, when on a ladder in case you fall. Face the ladder rungs while climbing, not the other way around. Do not stand on the top rung, or above any marked levels. If you do suffer a fall, get up slowly, and then seek help immediately if you suspect something is broken. Texas Orthopedics is excited to announce that seven of our physicians have been recognized as Super Doctors for 2016 in the December issue of Texas Monthly magazine. Super Doctors is a national group that salutes outstanding physicians from more than 40 medical specialties who have attained a high degree of peer recognition or professional achievement. Texas Orthopedics is proud to have a number of physicians land on this list over the past several years. We are truly grateful for all of our exceptional staff members and their numerous contributions to both our patients and medical community. 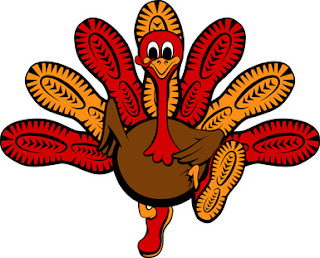 "Turkey Trots" and other holiday fun-runs are popular at this time of year. They are a great way to get a little exercise and spend time with family and friends before digging into piles of stuffing and a plate full of pie. 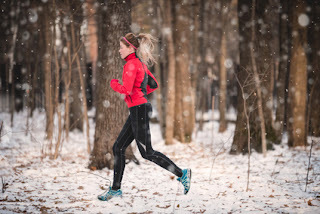 Fun-run events are typically shorter in distance than full or even half-marathons, usually a 5K to 10K, and they are designed for a variety of participants who run at all levels. 1. Do a little reconnaissance. Check out the track or trail before the even so that you know the terrain (up hills or down), and the route. Be sure to know where the race starts and ends too so you can share that with family and friends who are meeting you there. 2. Fuel up, and dress up. Get a good meal the night before, and the morning of your run. A healthy mix of proteins and carbohydrates will keep you going, along with plenty of water to stay hydrated. Dress appropriately for the weather. Although we still are having sunny, mild days here in Central Texas, the mornings can be chilly. So, dress warmly in light layers that you can easily shed as you run. Taking a break to walk a few steps during the race is okay, especially if you are not a frequent runner. Listen to your body, and if you need a break, take it. Walking interspersed with running has even been shown to help muscles stay limber longer than running alone. For your family and friends who aren't joining you for the run, designate special spots for them along the way to cheer you on. If they've traveled from far away to be with you during the holidays, this will help them feel included even if they are not participating themselves. A new phenomenon seen throughout many sporting events, especially marathons, is the emergence of runners' selfies or livestreaming video. While it a can be fun to update your gang on social media with your phone as you are running, it can also be extremely hazardous to you and others. You could trip, fall, or collide with something--even another runner--while losing focus of the path right in front of you. After you finish the race, celebrate with your supporters. 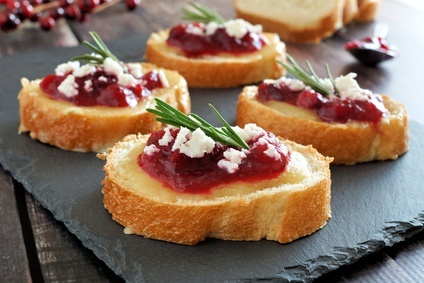 Plan for reservations ahead of time if you want to eat somewhere particular as the holidays are so busy. Or let a special gift-giver close to you know that you might like a massage as an early holiday treat in the day or two after your run to help muscles relax and heal. If you have any pain or discomfort following your race that does not subside with rest and over-the-counter medication, please contact us for an appointment. Once thought to be an essential daily supplement, especially during these not-so-sunny winter months, Vitamin D devotees are now getting a warning from doctors. New research from The New England Journal of Medicine shows that people are taking the vitamin far too liberally, and some doctors are issuing costly, unnecessary blood tests to track its deficiency. While Vitamin D is an important contributor to healthy bones, like calcium, the RDA (Recommended Daily Allowance) is being routinely exceeded by patients fearing things like arthritis, osteoporosis, and even cancer, heart disease, and diabetes--also thought to be triggered by a deficiency of the vitamin. 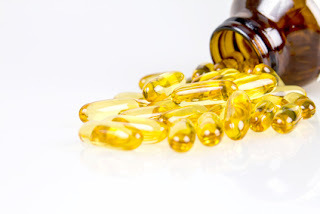 In reality, research suggests that only 6% of Americans, aged 1 to 70 years old, are actually Vitamin D-deficient. Testing for Vitamin D levels is also at an all-time high. It is Medicare’s fifth most common test, following cholesterol levels, and just ahead of blood sugar levels, and prostate cancer screenings. The spike in testing may be attributed to reports over the past several years that those who don’t get enough sunshine, typically during the winter, are at risk of a deficiency. Exposure to the sun helps our skin make Vitamin D, but it is also readily available in dietary sources such as milk and dairy products, fatty fishes, and fortified cereals and grains. The bottom line is that you probably are already getting enough Vitamin D (600 to 800 IU daily), even more than you realize. And unless you have other risk factors recognized by your doctor, there is no need for regular blood testing. Too much Vitamin D can even be harmful and lead to issues like nausea, constipation, and kidney stones…none of which are pleasant! If you are concerned about your Vitamin D intake and would like to speak with one of our physicians, please contact us for an appointment. 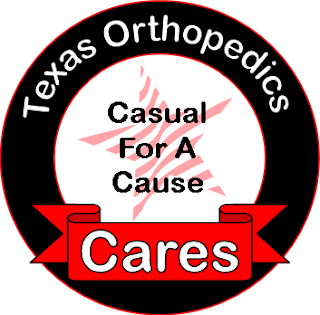 Giving back to the community is something we take very seriously here at Texas Orthopedics. But for November and December, we are keeping it really casual, as in “Casual for a Cause”. We are once again partnering with our friends at Partnerships for Children with our Casual for a Cause campaign. 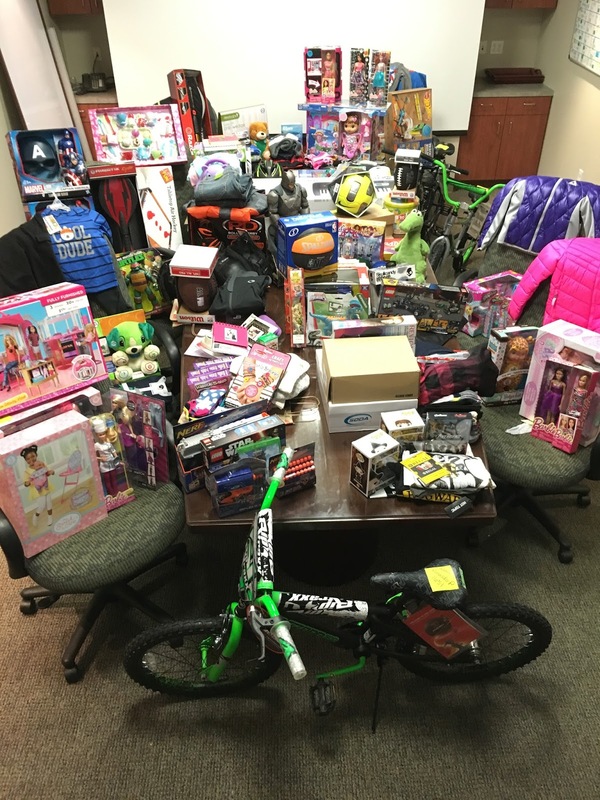 Throughout the upcoming holiday season, we will donate funds to the Partnerships for Children Holiday Wishes Program. Texas Orthopedics’ staff will give $5 to earn a “Casual for a Cause” sticker that will give them the chance to dress down on the last Wednesday of each month. 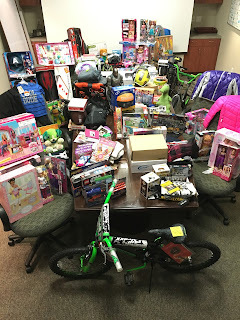 Our different office locations will then be vying to bring in the most money for this special group that ensures children in need will have a happy holiday. The first Casual for a Cause Wednesday was on October 26. If you visit our office on one of these Wednesdays and are thinking our crew is looking a little too comfy during the workday, just remember that we’re going Casual for a Cause! Partnerships for Children is a non-profit organization dedicated to supporting children in CPS care. Texas Orthopedics salutes all of our nation’s servicemen and women every day, but today we are especially grateful for their duty as we celebrate Veteran’s Day. Dr. Peter M. Garcia, Jr.
Dr. Zachariah Logan, who recently joined us, enlisted in the Army right after high school. Following an initial training period in San Angelo, he was stationed in Fairbanks, Alaska as a Firefighter and EMT. Texas Orthopedics has treated many active and retired servicemen and women over the years, and it has been our privilege to do so. 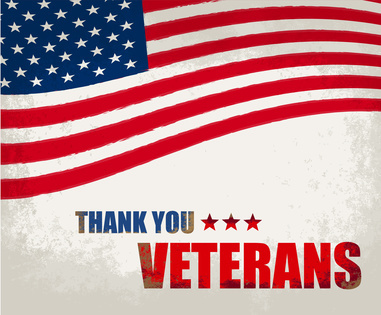 Please join us today in thanking our staff, and all of our patient veterans, who have bravely served in the military. Veteran’s Day is celebrated annually on November 11, in conjunction with Armistice Day and Remembrance Day in other parts of the world, to commemorate the end of World War I.